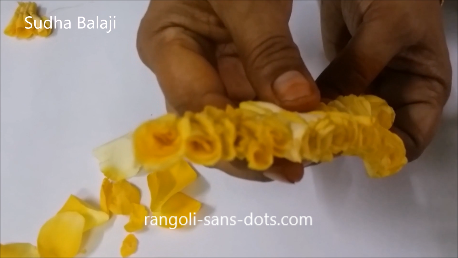 Yellow rose decoration using petals - we need yellow roses and craft thread. 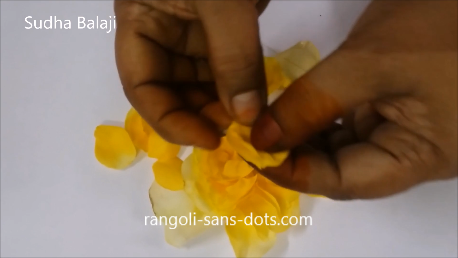 I have used golden colour to match with the colour of the flowers. 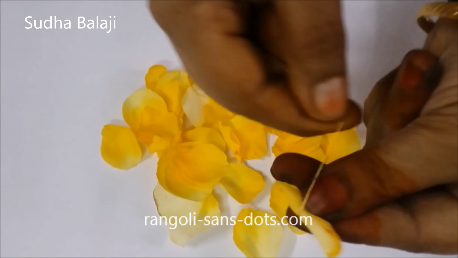 Remove the petals from the flowers gently. Take four or five petals such that the outermost is the biggest. Tie a knot around the petals as shown in the next two pics . 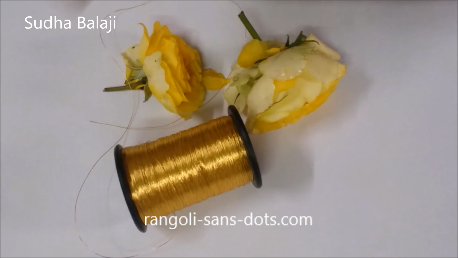 Bring the thread to the left side bottom as shown in the image below. 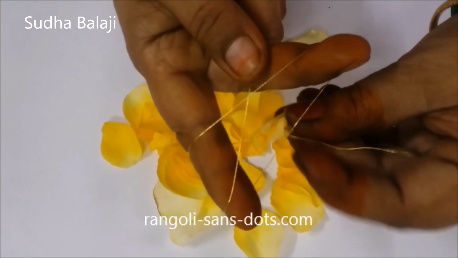 Again form a loop with string and tie both sets of petals together. i.e the first and second. 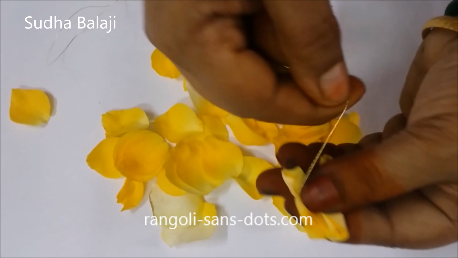 When we place the third set of petals tie the 2nd and 3rd set of petals. 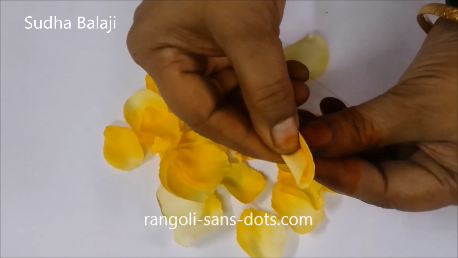 Alternatively we can make a semicircular garland and use it for hair decoration - for bridal hair decoration for weddings or festivals like Seemantham and Valaikappu.